SEBASTIAN – There are two areas of interest that are closely being monitored by the National Hurricane Center and Indian River Emergency Services. One tropical system is just off the coast of Africa and the other is in the eastern Caribbean. 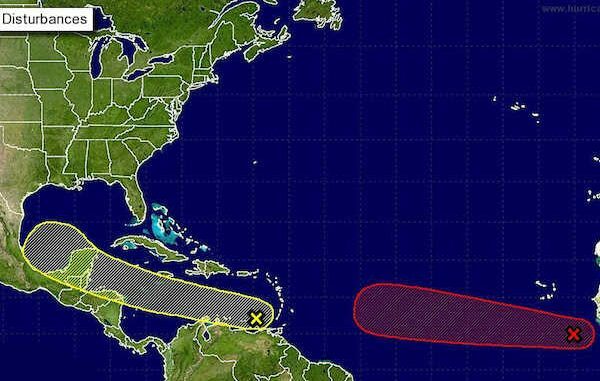 There is no threat to Florida within the next seven days but both systems should continue to be monitored. It is recommended that all Indian River County residents be prepared for hurricane season, especially during the most active months of August and September. Hurricanes are one of nature’s most destructive, widespread weather systems, occurring most frequently during “hurricane season,” from June 1 – November 30. Quiet games, books, playing cards, favorite toys for children, etc.